GW Prof finds more similarities than might be expected, despite different national origins of most of today's emigrés. Tyler Anbinder is a specialist in nineteenth-century American politics and in the history of immigration and ethnicity in American life. 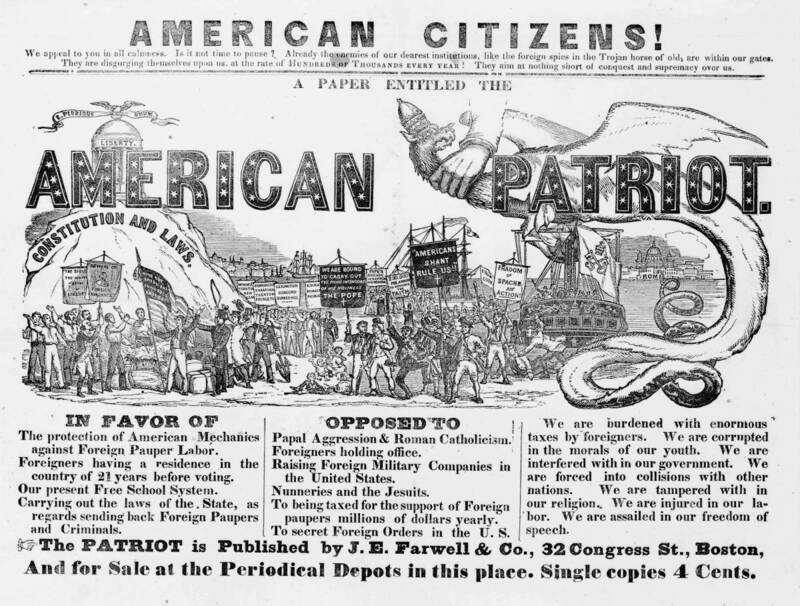 His first book, Nativism and Slavery, analyzed the role of the anti-immigrant, anti-Catholic Know Nothing party on the political crisis that led to the Civil War. His most recent book, Five Points, traced the history of nineteenth-century America's most infamous immigrant slum, focusing on tenement life, inter-ethnic relations, and ethnic politics. Professor Anbinder has won fellowships from the National Endowment for the Humanities and held the Fulbright Thomas Jefferson Chair in American History at the University of Utrecht. He also served as a historical consultant to Martin Scorsese in the making of the film Gangs of New York. His current research includes an NEH-funded study of Irish immigrant savings habits, and a book-length study of immigrant life in New York City from the first Dutch settlers to the present.